There’s a new legal challenge against an Arizona abortion law that’s set to take effect Aug. 2. 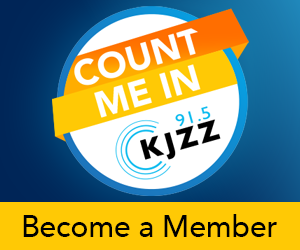 KJZZ’s Lynn Kelly reports. The lawsuit was filed today by abortion-rights groups -- filed by the American Civil Liberties Union, the ACLU of Arizona and the Center for Reproductive Rights -- on behalf of three physicians. The sheriff of Mohave County in northwest Arizona has begun patrolling the town of Colorado City on a regular basis. That action comes after a federal lawsuit last month alleging civil rights violations by police in Colorado City. The Mayo Clinic says it’s performed computerized baseline concussion evaluations on about 40 percent of Arizona high school athletes, in the first year they’ve been offered.Last year, the state set up new procedures for when high school athletes who’ve been diagnosed with concussions can return to action, and the body that oversees high school athletics in the state has started requiring all high school athletes to pass a test proving they know about the symptoms and causes of concussions before they can play. Arizona's congressional delegation did as expected yesterday as lawmakers tried to repeal President Obama's signature healthcare act. Wednesday was the 33rd time lawmakers have tried to get rid of the law. Under a new White House policy, immigrants brought here illegally as children can apply for deferred deportation and temporary work permits. But so-called DREAMers are being warned to proceed cautiously. The Maricopa County Sheriff's Office says a maximum security prisoner arrested for plotting to kill another inmate also hoped to assassinate Sheriff Joe Arpaio. Detectives arrested 29-year-old Samuel Matta Wednesday, an inmate in the state prison in Florence. Phoenix Suns fans were taken aback when they learned Steve Nash chose to leave the Valley and head to the Los Angeles Lakers. Social Psychologist Sam Sommers explains why fans react the way they do. Sommers, a professor at Tufts University, says fans who reacted negatively to Nash leaving the Suns for the Lakers looked for the easy narrative in the situation. Two experts explain the current options that surround Arizona’s Medicaid program, AHCCCS, and how the Affordable Care Act will affect the program. Sue Gerard, former director of the State Department of Health Services and current member of the board of the Maricopa Integrated Health System, says the current system is a bridge plan to keep the system running until 2014. Two experts talk about Arizona’s Republican Primary for Senate and the barbs exchanged between Jeff Flake and Wil Cardon. Nathan Gonzales, deputy editor of the Rothenberg Political Report, says Republican strategists are confident they can keep someone from their party in the Senate seat, but negative ads are making them nervous. The construction of the new Chicago Cubs spring training stadium is underway. On Wednesday, the City of Mesa hosted a groundbreaking ceremony with local dignitaries and the Cubs franchise.Dignitaries from the City of Mesa and the Chicago Cubs broke ground on the new Cubs spring training complex in Mesa on Wednesday.